A little bit of travel inspiration on the blog today! Here are 5 of the most magical and beautiful places to put on your list to visit before you die. How beautifully magical does this beach in The Maldives look?! 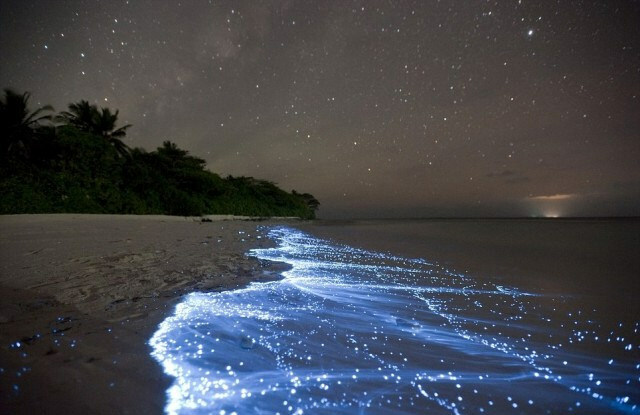 The bright, sparkly waves are caused by a chemical reaction, called bioluminescence, which occurs when marine microbes called phytoplankton in the water are disturbed by oxygen. It creates a luminous glow at the edge of the water and looks pretty surreal! This extraordinary ice cave in Iceland is made up of centuries-old ice which, through high pressure, has turned into a beautiful almost transparent frozen ice glacier. You would really feel like Elsa from Frozen walking through this! 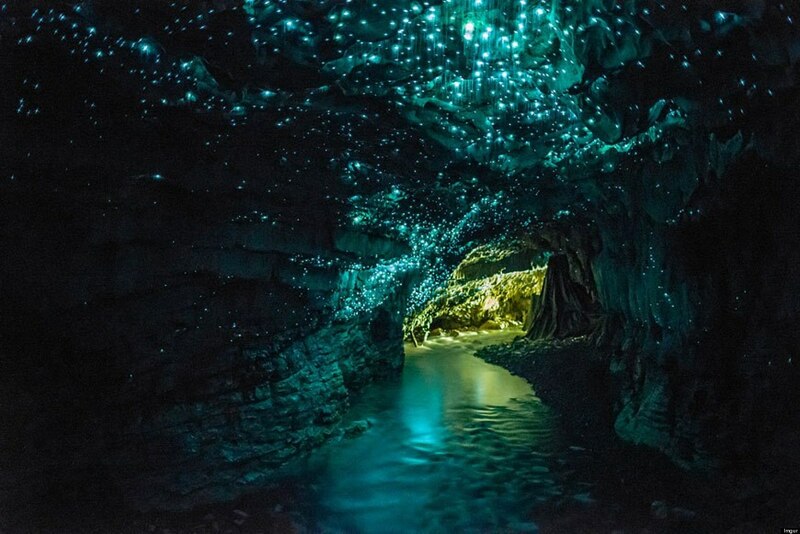 Thousands of little luminescent glow-worms unique to New Zealand gather in these beautiful caves, radiating a magical blue glow. You can take a boat trip through the caves and experience the fairy-like magic for yourself. 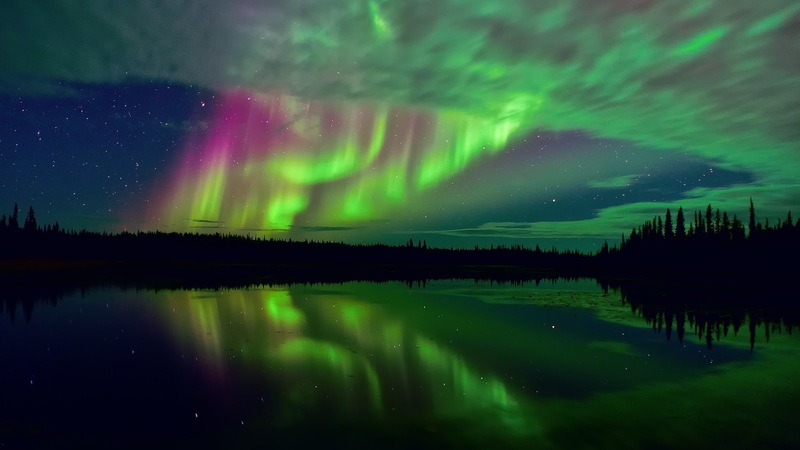 What's more magical than gazing at the Northern Lights? Bursts of colour are projected in the sky when charged wind particles from the sun collide with the Earth's magnetosphere. The beautiful waves of shimmering coloured light are something not to be missed. If this doesn't look exactly like a little fairy cave that you read about in books when you were younger, you were reading the wrong fairytales. Bioluminescence is caused, again, here and creates a magical waterfall that looks like something straight out of Snow White. 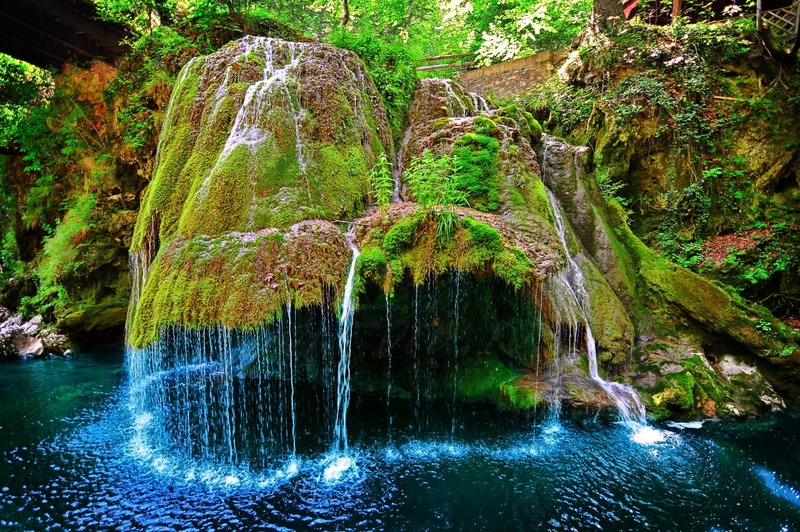 Wow, Bigar Waterfall looks like a place fairies should live! 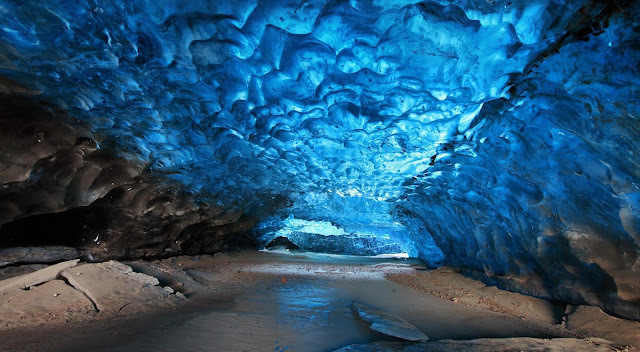 I think that my favourite out of this list is The Blue Ice Caves - they really look beautiful! Good god I want to go to all of them! The sparkly sea in the Maldives looks incredible, it must be the most amazing thing to see in person. Bookmarked this page!